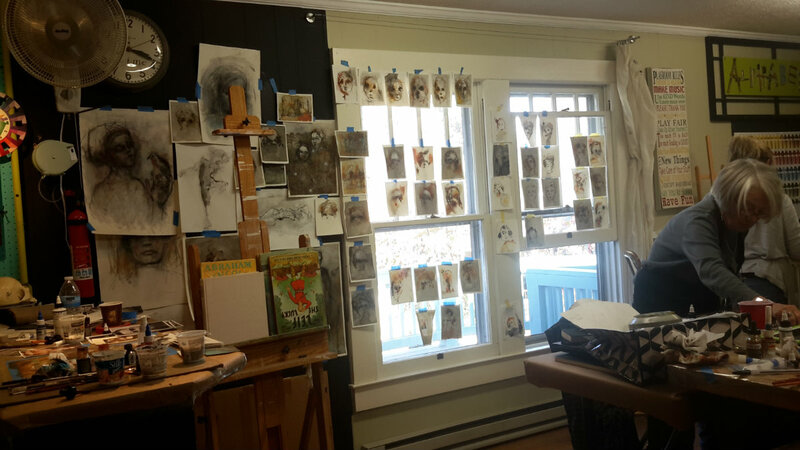 Last month saw me travelling over the pond to teach my very first overseas workshops at Random Arts in North Carolina. The perfect time of year to go, I dressed and packed for Autumn weather and found myself (a Scottish lass more comfortable in cooler temperatures) in what felt like the height of Summer to me. 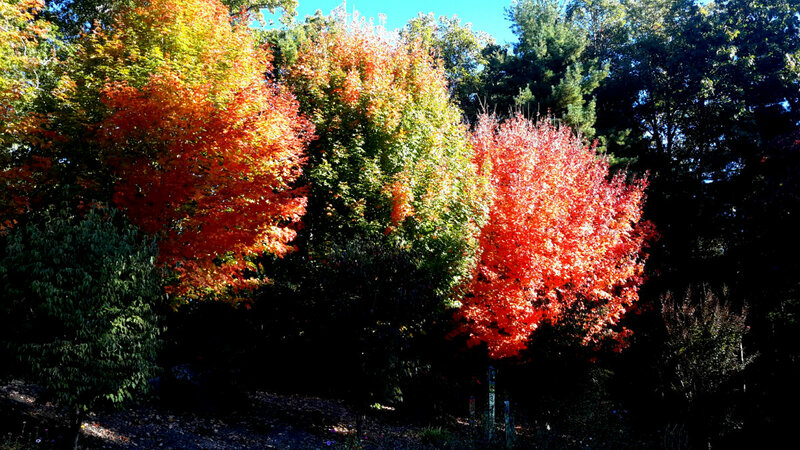 But the leaves were still turning under wall to wall blue skies and hot sun and I fell in love with the scenery and all the people I met there. I didn’t have too much time for sight seeing but my incredible host Phyllis made sure I got to see the beautiful area in-between me teaching and running errands. 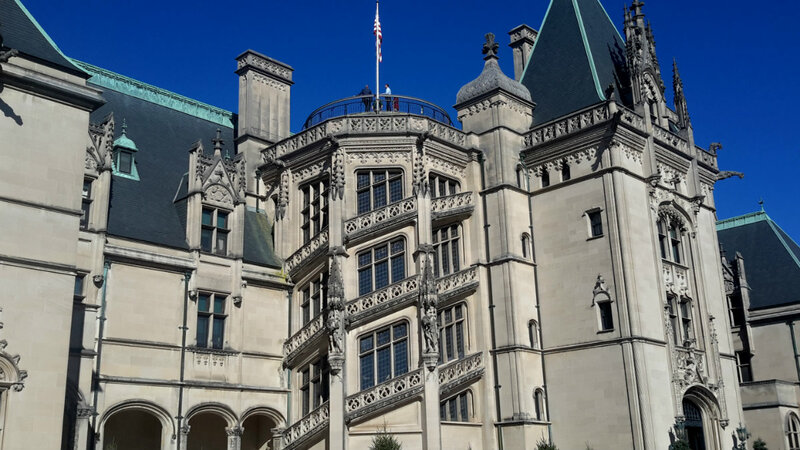 Lots of good food, chatter and drives in the countryside and a day art supplies shopping and strolling the streets in the artistic city of Asheville and my final day before flying home was a day trip to the Biltmore. Now I have been back almost four weeks and I have been delighting in a slower pace of life than before. Up till just two days before I flew there I was, still filming for my second E-course Drawn to Expression. I promised myself that will not happen (cutting it so fine) but of course, sometimes that is just the way things work out and I know I have made the same promises many times before. 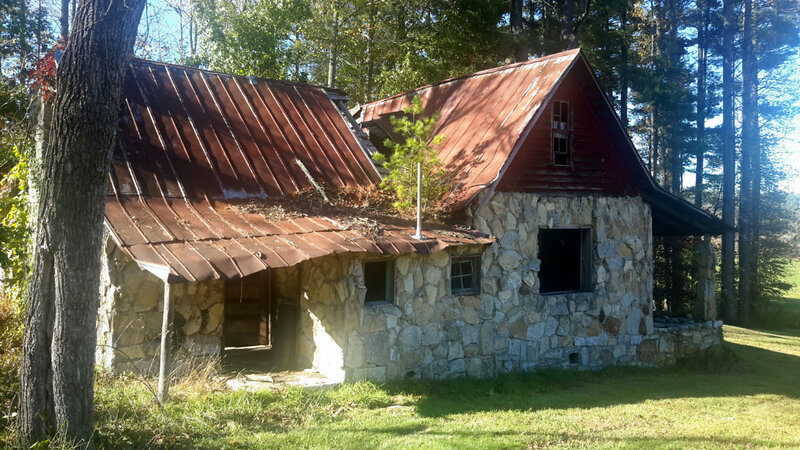 Perhaps that is just supposed to be my way – madly busy and working non-stop for weeks on end, then slow and steady with time to breathe and rest – no half-way house for me. I have been editing the photos from my time over there and in particular the selection of images of the students work. I taught two different classes over two weeks and I loved having those five days with each group of students – time to really dig deep, work with a broad range of materials but in a very focussed way with time to explore and grow and make leaps and bounds that often take a lot longer when you are time limited. But still – each of the five days went so fast. 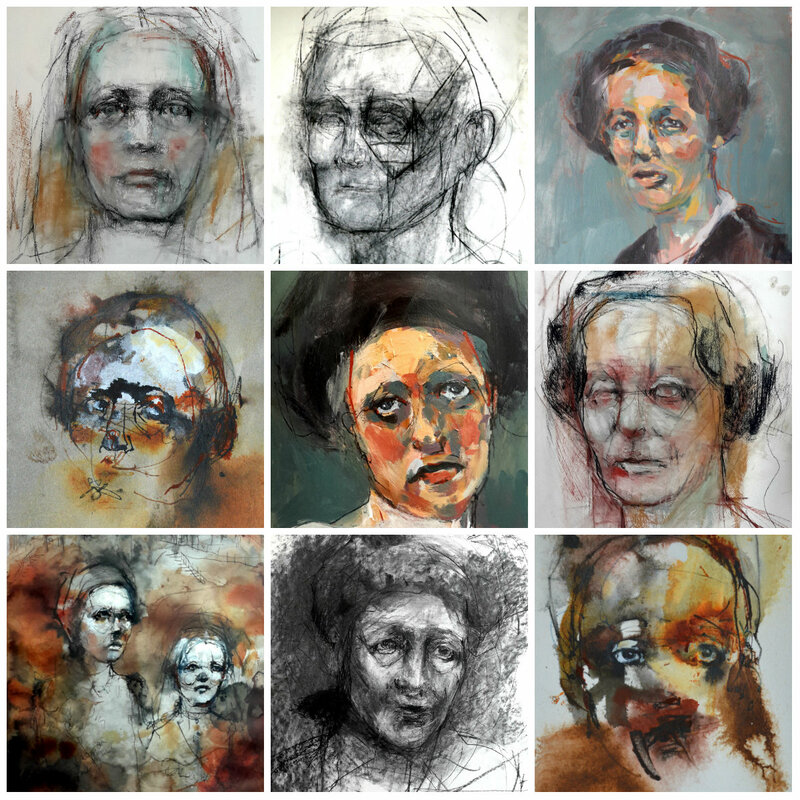 Portraits were the focus – working on structure, character and expression and using quick, demanding exercises to loosen up in charcoal, conte and ink before going into longer demonstrations and ways of building up portraits with depth and emotion and narrative. There is an interaction that occurs in live classes that is just magical. Conversations, energy, folks helping and supporting each other, the tense crackle of struggle to make art pieces work despite the struggle that we all go through (it happens in demo’s all of the time! ), the pressure to end each day with work that we love but also the absolute joy when that struggle brings something alive – a drawing or a painting that speaks of the soul of the artist. There is nothing like it! Each student brings something so valuable to the class – an energy, a barrel full of potential and a willingness to trust and take risks. I go away a better artist and teacher I think, I hope. I am delighted to share with you a slideshow of just some of the work that was created during the two weeks of classes – I was not great at remembering to take photos and some of these were captured as works in progress but I hope it gives you a sense of how hard everyone worked and what an inspiration it was to see. Life Book is a year long art journey with weekly prompts, lessons and inspiration for creating art that inspires and heals. I am delighted to be one of 23 teachers creating content for this course. To find out more then you can hop on over to here.